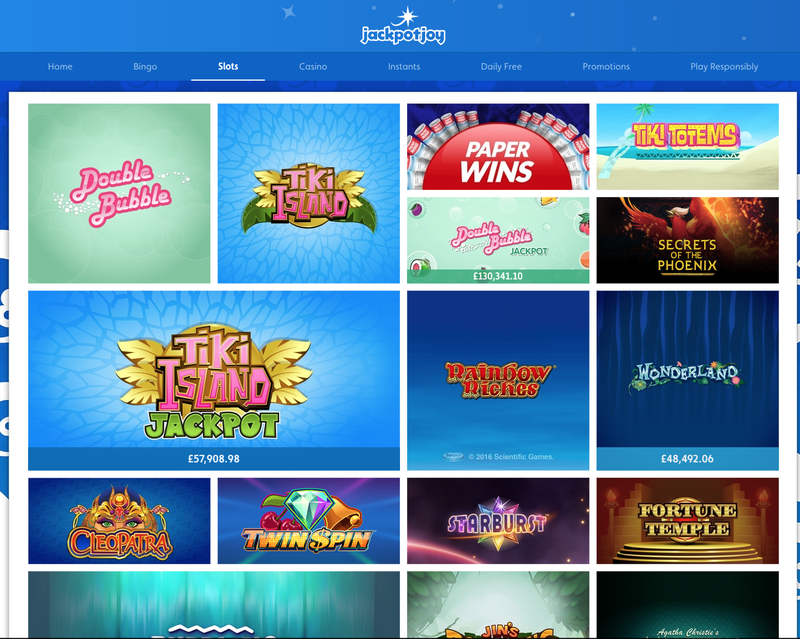 Jackpot Joy Slots is a section of a site which is actually dedicated to bingo, however it features the most amazing array of games found online anywhere and the slots section alone is well worth reviewing. They offer every single game in demo mode to, so you can try before you buy with no download required. They are on the Gamesys software platform and have become one of the UK's most well loved sites for instant win games, slots and of course bingo. They have offices in London, are fully licensed in Gibraltar and one of the true success stories in this industry. Jackpot Joy also pays out over £3 million in prize money every week and offers professional hosted chat rooms. Talk about games, ok, there are over 60 exciting games and one of the most famous and thereby most popular has to be Deal or No Deal which currently is home to a £1.7 million PJP. One of my favourites is Shopping Spree, and the list just goes on. There are also scratchcards, casino table games, video poker and instant wins. Brand new games are launched all the time. With a big brand name like Jackpot Joy Slots, you have to know that any financial transactions made or any sensitive information passed on, will be completely safe. They use the most up-to-date encryption technology and customer service is available 24/7 through chat, email, phone lines and FAQ. There are a good choice of payment methods and these include Visa Debit, Maestro UK, Visa Credit, MasterCard, Visa Electron, Solo, Laser (Ireland only) and Neteller. But this site is off limits to US players.